I had a small problem with 3 of the four servos that I think might be a design flaw. 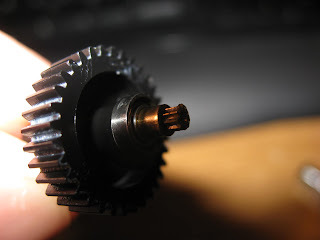 There's a small pinion gear attached to the shaft inside. It drives the potentiometer. It's pressure fit to the shaft and breaks loose easily so that the shaft and potentiometer are no longer linked. If this happens, the servo just spins continuously in one direction. The fix turned out to be quite easy but required disassembling all of the servos. I just applied a minute amount of lock-tite to the pinion gear.